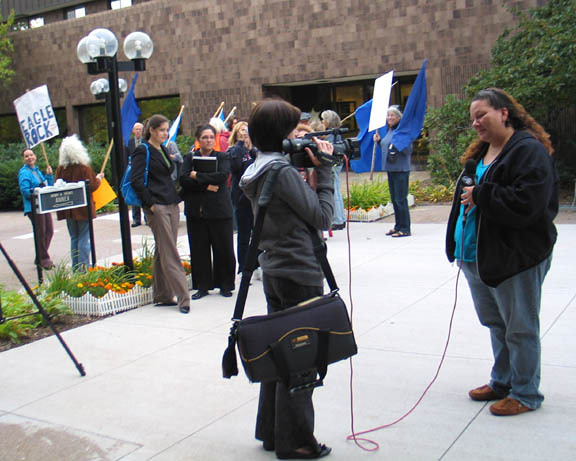 MARQUETTE -- A Rally of support welcomed Charlotte Loonsfoot, Keweenaw Bay Indian Community (KBIC) member, as she emerged from the Marquette County District Courthouse in Marquette on Tuesday morning, Sept. 28. Supporters greet Charlotte Loonsfoot, third from right, outside the Courthouse, shortly after she received a 30-day delay of sentence for her "no contest" plea against a misdemeanor trespassing charge. Also pictured are, from right, Laura (Furtman) Gauger of Duluth, Cynthia Pryor of Big Bay, James Haun of Skanee and KBIC elder Betsy Robillard Ross. 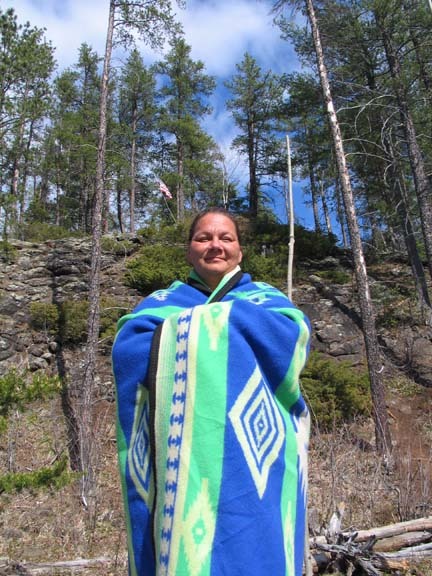 Loonsfoot was arrested for trespassing on May 27, 2010 -- while camping and praying on Eagle Rock, an Anishinaabeg (Ojibwa) sacred site, located on public land leased by Rio Tinto-Kennecott for their Eagle Project sulfide mine. After entering a plea of "no contest," Loonsfoot received a 30-day delay of sentence on the misdemeanor trespass charge, which will be dismissed if she respects all the terms of the one-month probation. 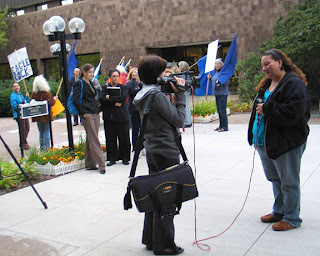 A TV-6 reporter interviews Charlotte Loonsfoot outside the Marquette County District Courthouse on Sept. 28 after she presented her plea agreement against a charge of trespassing. Loonsfoot's defense attorney said the plea allowed her to admit no wrongdoing. "I decided to accept the plea agreement I offered to the prosecutor after seeing the outcome of Cynthia Pryor's case, held earlier this year," Loonsfoot said. Pryor, arrested last April for trespassing on state land that Kennecott considered leased to them, despite the fact that the legality of permits required for the lease was being contested, asked for a jury trial and was found guilty after the judge refused to allow the evidence of the permits and lease into her defense. Pryor received a six-month delay of sentence. Assuming Pryor's case would likely serve as a precedent, Loonsfoot said she chose the "no contest" plea since she didn't expect she would have a fair trial. "It's just the beginning," she said. "I plan to run for a seat on the (KBIC) Tribal Council to try to change things from within. I feel the Council could be doing more to try to enforce our rights ... on treaty lands and they're not, probably because of prior commitments." Loonsfoot said she plans to keep fighting the mine, which is located on ceded territory. Under Native American treaty rights, Loonsfoot and other KBIC members claim the Anishinaabeg people should be allowed to hunt, fish and gather on ceded territories. This banner marks the entrance to a second camp that Charlotte Loonsfoot and family members set up recently, with permission, not far from Eagle Rock, on private property not belonging to Kennecott. Although they are not presently camping there, the banner remains. Loonsfoot and another KBIC member, Christopher Chosa, were among six people at Eagle Rock when police arrived there on May 27 and asked them to leave. Four protesters left the site when asked, while Loonsfoot and Chosa were not willing to leave immediately and were arrested. According to the Marquette Mining Journal, Chosa pleaded "no contest" in July and received a six-month delay of sentence and six hours of community service in early September. His case will also be dismissed if he fulfills the terms of the six-month probation. Kennecott, working with local law enforcement, removed the camp structures and a community garden planted by campers at Eagle Rock. Eagle Rock is now fenced off and nearly hidden behind high berms as Rio Tinto-Kennecott prepares to turn it into the entrance to an underground mine for a large nickel and copper ore body located under the nearby Salmon Trout River. 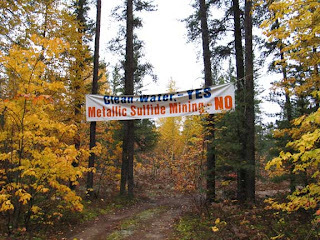 Sulfide mine opponents believe the river, which empties into Lake Superior, is in danger of potential pollution by Acid Mine Drainage. 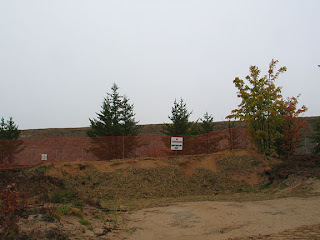 The area around Eagle Rock is now a construction site surrounded by a fence and high berms. No trespassing signs can be seen from the Triple A Road. Laura Gauger (formerly Furtman) came all the way from Duluth, Minn., to support the Rally for Loonsfoot. "It was important to me to show solidarity wih my friends in the U.P. who are fighting Kennecott," Gauger said. She noted the similarity between Kennecott's Eagle Project and their Flambeau mine is that both are metallic sulfide mines, although the Flambeau mine was an open-pit type and the Eagle mine is intended to be underground. "The Flambeau mine is yet one more example of how no one has mined a metallic sulfide ore body without polluting the water. That's important for the people of Michigan to know because Kennecott is holding up that (Flambeau) mine as their calling card to get in here," Gauger explained. "I want the people here to know that they have friends in Wisconsin, Minnesota, Ontario and Manitoba who stand solidly beside them in fighting Kennecott -- and we're going to beat this thing." Gauger presented evidence of stream and ground water pollution at the Flambeau mine when she spoke at the 2009 Protect the Earth event in Marquette. 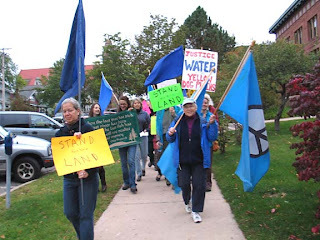 She, Professor Al Gedicks of the University of Wisconsin LaCrosse, and the Wisconsin Resources Protection Council (WRPC) are plaintiffs in a lawsuit being filed against Kennecott Minerals and the Wisconsin Department of Natural Resources. The case is not yet in court. Green Party First District Congressional candidate Ellis Boal, who drove up from Charlevoix to attend the Rally, said it was Gauger who told him about Kennecott's Eagle Project last spring when he was vacationing and hiking in the U.P. He also talked to Greg Peterson, journalist for Indian Country Today, who has written several articles about the Kennecott sulfide mine. Since then Boal has opposed the Kennecott Eagle Project sulfide mine as part of his official campaign platform. 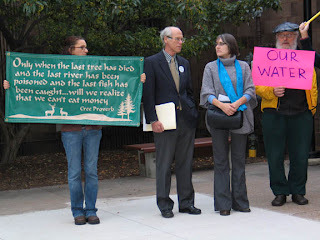 Green Party Congressional candidate Ellis Boal, second from left, chats with Amy Conover, third from left, while Rally participants wait outside the Marquette County District Courthouse to greet Charlotte Loonsfoot after her court appearance on Sept. 28. Also pictured are Catherine Parker, left, and Jon Saari, Upper Peninsula Environmental Coalition (UPEC) Board member, right. 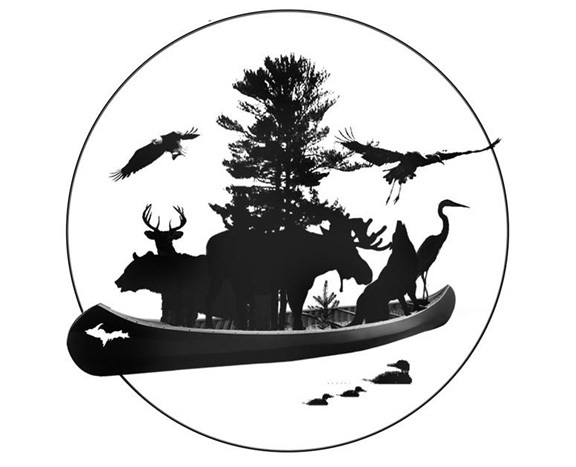 Save the Wild U.P. Director Kristi Mills helped organize the Rally to support Loonsfoot. "It's not over," Mills said. "This is another stepping stone on our way to protecting the U.P." Save the Wild U.P. 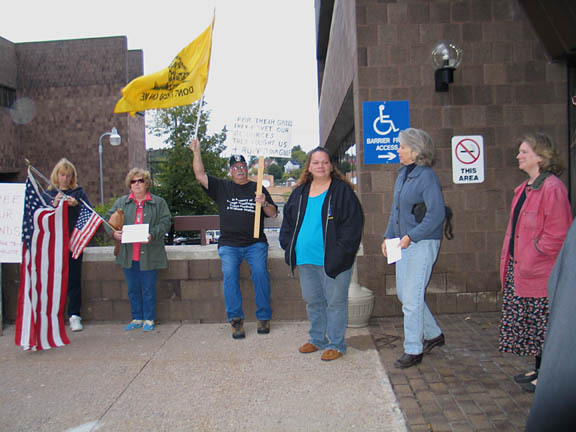 Director Kristi Mills, left, leads Rally participants in a march near the Marquette County District Courthouse on Sept. 28. 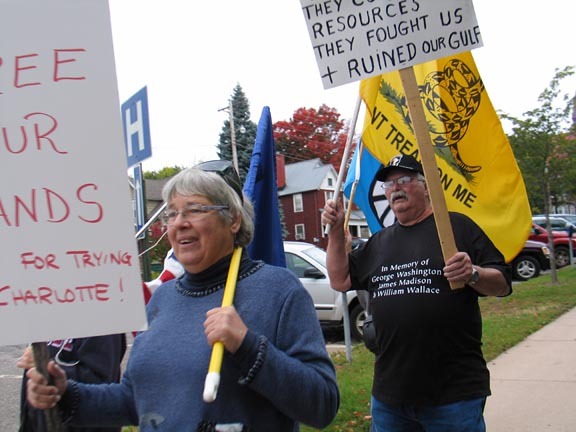 Gail Griffith, right, peace activist and sulfide mining opponent, carries a blue and white United Nations flag and a peace flag. 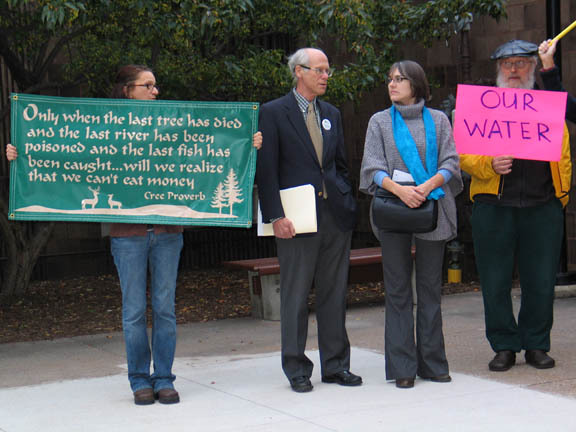 Also among the Rally participants was Jon Saari, Board member of the Upper Peninsula Environmental Coalition (UPEC). Saari said he attended the Rally to show "solidarity with Native Americans willing to step forward to protect their treaty rights and the water that supports us all." James Haun of Skanee, a former United Auto Workers union chairman, carried a sign and a flag and wore a tee-shirt protesting Rio Tinto as a kind of British colonialism. 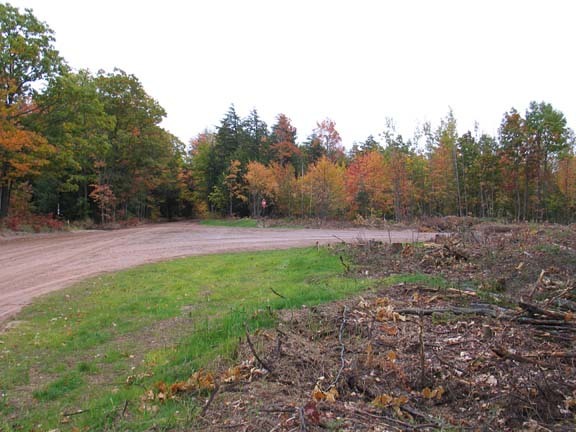 He expressed concern about the company's present cutting of trees along the roads leading to the Eagle mine site. As Rally participants march near the Courthouse, James Haun of Skanee displays his sign, flag and tee-shirt protesting the two British corporations, Rio Tinto and BP. At left, foreground, is Rachelle Giuliani of Marquette, carrying a sign in support of Charlotte Loonsfoot. "The 510 and the Triple A on the eastern end going into Big Bay used to have a canopy like a golden tunnel surrounding this road this time of year," Haun said. "Now look at it. It's been cut back on both sides of the road. Stumps prevail, and it'll never be the same as it was in our lifetime. Color tours as we knew them are over. That was one of the special areas to drive through." At the intersection of County Road 510 and the Triple A Road near Big Bay, Rio Tinto-Kennecott has cut trees along the sides of the road, destroying the tree canopy (some of which remains along the extension of 510, at the left of the photo). Click on photo for larger version. Rachelle Giuliani of Marquette said she joined the Rally as a member of the human race. "I'm concerned about the health and welfare of all the people who live here, so I stand for well being, health and peace for all -- including the construction workers, the miners and Kennecott itself," Giuliani said. "I like that Lakota saying: 'We're all related.'" Giuliani generously treated the Rally participants to a breakfast at the Sweet Water Café after the Rally. * See our May 9, 2010 article, "Native, non-Native campers on Eagle Rock oppose sulfide mine." ** See details on Laura (Furtman) Gauger's presentation at the 2009 Protect the Earth workshops in our Aug. 5, 2009 article, "Protect the Earth 2009: Part 1." *** Click here for a description of Wisconsin's 1997 Mining Moratorium Law. **** Ellis Boal is running for the Congressional seat now held by U.S. Rep. Bart Stupak. Other candidates include Republican Dan Benishek and Democrat Gary McDowell. Watch for our interview with Ellis Boal, coming soon. This is a well written article & provide valuable information. Thank you. Logo courtesy American Radio Relay League. The annual Chassell Hamfest Amateur Radio Swap - n - Shop, sponsored by the American Radio Relay League, will be held from 9 a.m. to 1 p.m. on Saturday, Apr. 27, at the Chassell VFW Post 6507, 42103 Wilson Memorial Dr, Chassell, MI. (US 41) (Those with tables can set up at 8 a.m.) Admission: $3/person. Tables: $10. A chance to win valuable Door Prizes with each admission ticket stub! Estate items for sale. Refreshments and food available. Talk-in Frequency 146.880 w/PL tone of 100 hz. Table info contact Jeff W9GY 906-337-4158 jeffw9gy@pasty.net. Sponsored also by your THREE LOCAL AREA AMATEUR RADIO CLUBS: BCRA, CCRAA, and KCRA. Michigan Tech's Department of Visual and Performing Arts announces its semi-annual student showcase, "Rock, Paper, Scissors," featuring works of art created by students in Project Learning Lab, an innovative arts classroom based inside Rozsa gallery b. An opening reception will be held from 5 p.m. to 6:30 p.m. Friday, April 19. The exhibit runs through Monday, April 22. Gallery hours are M-F 8 a.m. - 8 p.m. and 1 p.m. - 8 p.m on Saturday. The exhibition is free and open to the public. The reception is free and all are welcome. The works on display were created by students in Lisa Gordillo’s Traditional Sculpture Studio. Students from many campus disciplines are represented, including business, math, engineering and theatre. Students in the class study sculptural traditions from around the world, and create three-dimensional works using those traditions as a guide. This year, the class focused on Guatemalan cultures, and created barriletes (giant kites), nawales (personal symbols informed by the Mayan calendar) and Estelas (large carvings). The Houghton County Democratic Party's Spring Fling will be held from 5 p.m. to 9 p.m. Saturday, May 18, at the Bonfire Steak House, 820 Shelden Ave., Houghton. This year's event will honor former State Rep. Scott Dianda. A 5 p.m. cocktail hour will be followed by dinner, a silent auction, speakers, and an award ceremony. Tickets are $40 and $35 for seniors or students. Click here for tickets. Tickets are also available by mail, payable to: Houghton County Democratic Committee, PO Box 304, Houghton, MI 49931. Ticket sales close on May 10. The next Hancock indoor Tori (market) will be held from 10 a.m. to 2 p.m. on Saturday, May 11, at the First United Methodist Church, 401 W. Quincy St., Hancock. The outdoor Tori will open in June. blackbird, a bohemian boutique located at 110 N. Front St., Marquette. Other works by rosa include water drop necklaces, small packages of 3 water drop ornaments, and a small retrospective selection of signed cards that can be framed. Click on photo above for blackbird's Facebook page. Click on logo above for info on dances and schedules of events. Visit the Maasto Hiihto/Churning Rapids new trail blog here for trail news and conditions. Concerned about high UPPCO energy rates? You're not alone! Join the local Citizens' Climate Lobby from 5:30 p.m. to 6:30 p.m. on Tuesday April 16, in the Portage Lake District Library Community Room to hear Elise Matz discuss possible changes underway with UPPCO and the ways those changes might affect us in the UP. Elise Matz is editor in chief of SparkUP, a new online publication about energy and the Upper Peninsula. She is an experienced political staffer with long-standing involvement in policy issues impacting rural Michigan. The Salon! art exhibit will remain on display through April 20 in the Rozsa Gallery A-Space. Salon! -- curated by Lisa Gordillo, gallery director and Michigan Tech associate professor of art -- features works of art and writing by more than 30 artists and writers. Gordillo is excited to present an older arts tradition with a contemporary twist. Works of art also pepper the Rozsa lobby, creating sitting spaces and areas for conversation. Gallery hours are M-F 8 a.m. - 8 p.m. and 1 p.m. - 8 p.m. on Saturdays. The exhibit is free and open to the public. Students from the Computer Science Department at Michigan Tech are again providing free, individual tutoring at the Portage Lake District Library for beginning computer users. These computer help sessions with individual tutors are held every Saturday from 9 a.m. - 10 a.m. except during MTU’s holiday and semester breaks. Details for those dates will be announced at a later date. "BASIC: Building Adult Skills in Computing" will show participants how to use the internet to keep in touch with people, share pictures and letters, find information, solve computer problems, and much more. People may attend as many of the sessions as they wish, and those who have laptops may bring them. Library programs are free and everyone is welcome. For more information, please call the library at 482-4570. Portage Lake District Library announces events for April 2019 on their calendar here. 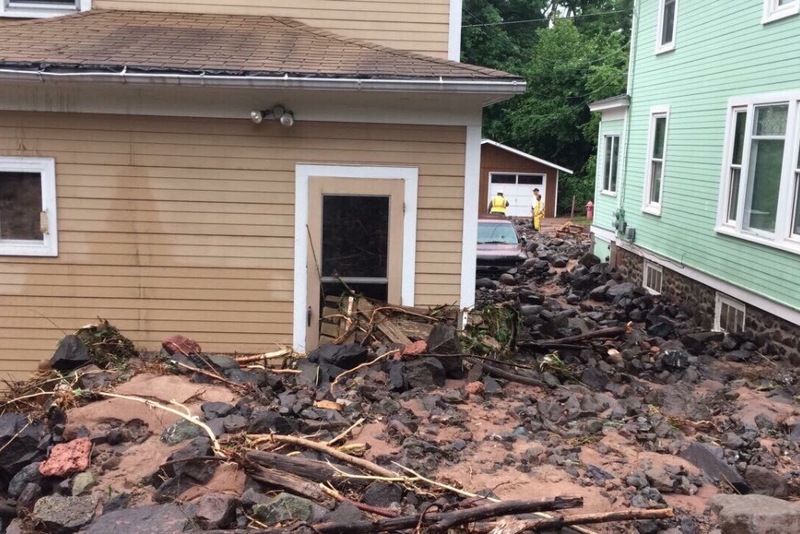 Houghton County Disaster Relief can still use volunteers. See updates and contacts on Copper Country Strong. Western U.P. Health Department is ending a successful short-term campaign to assure that Houghton County homeowners with private wells have safe drinking water. Homeowners with wells affected by the June 17 floods were offered free well testing kits over the past three weeks. The health department distributed 384 kits to Houghton County residents. As of July 5, results had been received from 209 well tests and 30 percent of those wells were determined to be contaminated with Coliform or E.coli bacteria, which can be harmful to human health....Click here for details. Baby and Me Storytime continues year round at 10:15 a.m. every Monday at the Portage Lake District Library. This program is for babies 0 - 18 months and includes simple stories, songs, fingerplays, socializing, and play. 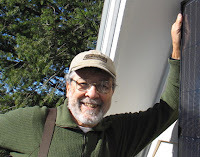 HEET (Houghton Energy Efficiency Team) has posted videos on renewable energy in the Upper Peninsula. Check out their Energy Forum here. The Keweenaw Unitarian Universalist Fellowship (KUUF) is looking for a second person to provide childcare during Sunday morning services. The right applicant will be able to ensure a safe, welcoming environment for children in the BHK playroom while the parents participate in the Sunday Service. The services run from 10:30 a.m. - 11:30 a.m. on Sunday mornings at BHK, 700 Park Ave., Houghton. KUUF is a welcoming congregation of people with diverse spiritual and religious beliefs. Part-time, $15 a week. Apply now by calling (906) 482-5586 or send a message on the KUUF Facebook page. Beginning Thursday, Jan. 31, seniors are invited to join Gentle Exercise classes for 12 weeks at 4 locations in Houghton County. Designed specifically for those who have some physical limitations, the 45-minute sessions are mostly chair-based and focus on stretching and strengthening. Highly recommended and backed by research, exercise for seniors has shown to improve well-being, quality of life, mood and brain function and to benefit all systems of the body. It is prescribed for those with arthritis, diabetes, heart problems, high blood pressure, Parkinson’s disease, and other chronic issues. Classes, which are free and open to the public, are led by Susan Burack -- who has many years of experience as well as training in kinesiology, anatomy and physiology, yoga, tai chi, dance and dance therapy. She suggests that people who are uncertain about their ability to participate check with their doctor and observe a session. Gentle exercise includes common issues of independent living for seniors such as balance and how to fall. Schedule: Mondays, 10:30 a.m., Douglass House, Houghton; Tuesdays, 10:30 a.m., Arbor Green, Houghton, and 1 p.m., Lakeview Manor; Thursdays, 10:30 a.m., Park Ave. Apts, Calumet. Sponsors include Aspirus Keweenaw Hospital, Aspirus Keweenaw At Home, and the sites. For more information call Susan at 482-3270. Bipartisan climate legislation has been introduced in Congress -- H.R. 7173, the Energy Innovation and Carbon Dividend Act, a revenue-neutral carbon fee and dividend approach that -- if passed -- would help us make significant progress toward our big goal: keeping warming to 2ºC. The bill will put a price on carbon, a key step to quickly reducing our greenhouse gas emissions. It also will protect about 2/3 of our UP households, including most lower income households, from rising energy costs. CCL will be sharing more about how to support this bill, will be contacting Rep. Bergman urging him to sign on as co-sponsor, and will be writing letters to the editor. Bergman needs to hear from as many of his constituents as possible, so he knows how much this issues matters to us. You can read about the bill at energyinnovationact.org and then call Congressman Bergman and ask him to co-sponsor H.R. 7173. Many thanks to all who attended our Memorial for Gustavo on Sunday, Oct. 21. Thanks also to all who have sent lovely cards, email and Facebook messages of condolence and more. In addition to taking photos for Keweenaw Now, Gustavo kept computers running and technology up-to-date for Keweenaw Now's postings. We miss him very much for so many reasons. The Copper Country Recycling Initiative (CCRI), a group of local citizens working together to promote recycling in the Copper Country, urges residents of the Keweenaw to save natural resources and energy and to help extend the life of the landfill by integrating the three "Rs" into their daily life: Reducing, Reusing, and Recycling. CCRI has worked to implement cardboard recycling at the Houghton County Transfer Station and Chassell and curbside recycling in Hancock and Houghton, as well as E(lectronic) Waste collection; and, in the near future, there are plans for household hazardous waste and tire recycling. The CCRI brochure, (available on the CCRI website here) lists what is recyclable along with what to do with batteries, bedding, books, cellphones, clothing, construction material, Electronic waste, glasses, medication, motor oil, packing material, printer cartridges, and more. There is also a sign-up for their mailing list. The Volunteer Resource Center (VRC) at the Copper Country Mall reports that there is still a great need for volunteers. They currently have 117 job requests on their job board and the number of volunteers has dwindled. Also, approximately half of the jobs require the use of heavy equipment such as skid steers, loaders, dump trucks, etc. Volunteers who can bring any of that equipment would be greatly appreciated. The VRC will be open on Saturday from 9 a.m. to 5 p.m., but individuals can call (906) 233-6621 any time to volunteer. -- The total cost for all damage to public infrastructure now sits at approximately 100 Million dollars. This does not include damaged incurred by homeowners and local business. -- Federal Emergency Management Agency (FEMA) and the Emergency Management and Homeland Security Division (EMHSD) personnel met with representatives from the Road Commission, MDOT and local cities and townships this morning, June 26, to review the damage assessments that were submitted last week. Over the next two days, those groups will tour a sampling of the damage throughout the County where FEMA will work to validate the cost of the damage as submitted by the local agencies. 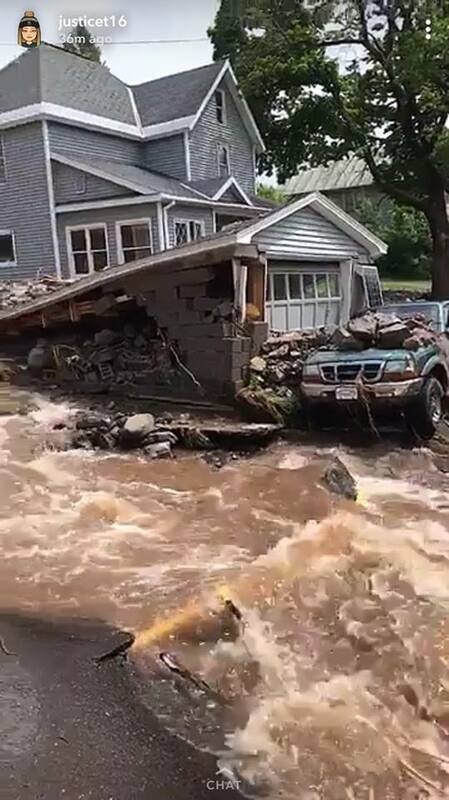 -- Individuals whose homes were made uninhabitable by the flood and who are in need of medium- to long-term temporary housing should contact the Michigan Department of Health and Human Services at (906) 482-0500. 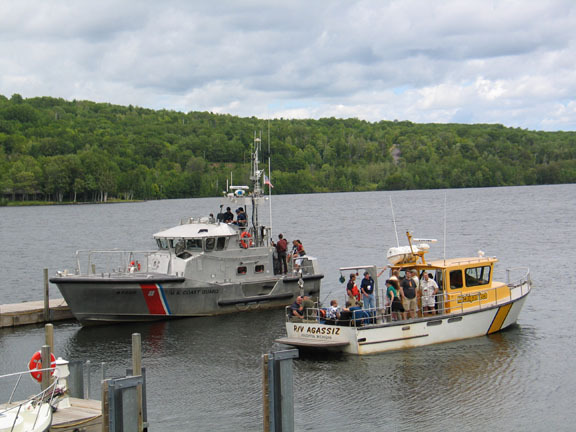 -- The Health Department recommends that fish caught in any Houghton County inland waters or within the stained waters of Lake Superior, not be eaten. They also report that they have distributed 153 well water test kits to date and that they have received results back on the first ten samples that were sent for analysis. Of those ten, five reported as being contaminated with one testing positive for e-coli. -- The Michigan Department of Environment Quality (DEQ) is working to establish a household hazardous waste collection site by next week. Residents are encouraged to separate things like paint, automotive fluids, cleaning fluids, etc. from other flood debris and set them aside until the collection site is set up. For more details and other updates visit Copper Country Strong. More fundraisers have been started through gofundme.com for people affected by the storm. See our June 25 article, "Father's Day Storm spares all but one in Houghton County," for links to these fundraisers. Click on photo above to learn how you can help. See photos of volunteers working to help families impacted by the June 17 flood on the Facebook page for brockit inc. Thanks to Adam Johnson of brockit for sharing photos and his aerial video. 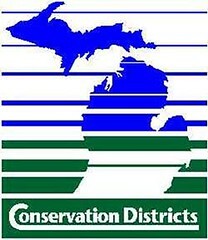 The Upper Peninsula Environmental Coalition's mission is protecting and maintaining the unique environmental qualities of the Upper Peninsula of Michigan by educating the public and acting as a watchdog to industry and government. UPEC recently merged with Save the Wild U.P., which is now the Mining Action Group. Visit UPEC on Facebook. See UPEC's latest newsletters by clicking here. Click on logo above for FOLK's NEW Web site. For recent updates visit FOLK on Facebook. 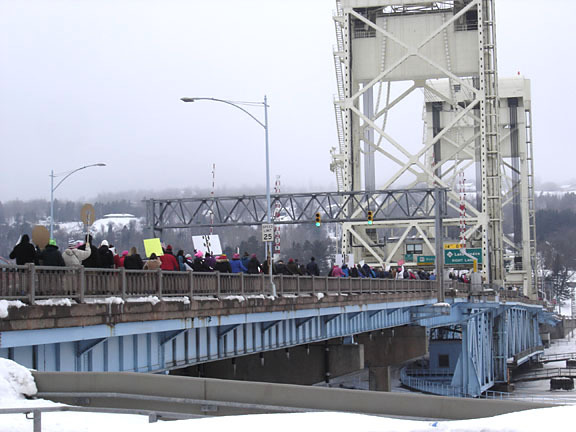 In solidarity with the March for Our Lives in Washington, D.C., on March 24, 2018, more than 200 participants marched across the Portage Lift Bridge from Houghton to Hancock, Michigan, and back. Click on photo and follow arrows for the slide show. See KNSC updates on trail conditions and photos on the Maasto Hiihto blog. Kids and parents braved a chilly, windy Sunday, Feb.11, for the 11th annual Barneløpet children's ski race at Maasto Hiihto -- hosted by the Keweenaw Nordic Ski Club, Sons of Norway, and the City of Hancock and sponsored by Portage Health Auxiliary. Click on photo above for more photos of the event taken by Maasto groomer Arlyn Aronson. 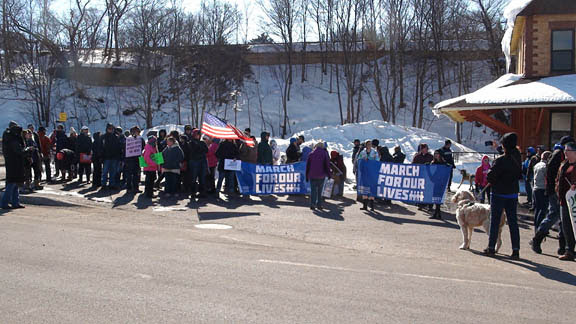 Click on above photo to access our new slide show of the Sister March. Click on this lead bridge photo in the slide show. Click info icons for captions. Follow arrows to the right to follow the march. From arts and crafts to film and dance, Keweenaw Now's SLIDE SHOW: Art, Culture Oct. - Nov. 2017 presents photo highlights of art and cultural events we attended in the Copper Country during the fall of 2017. 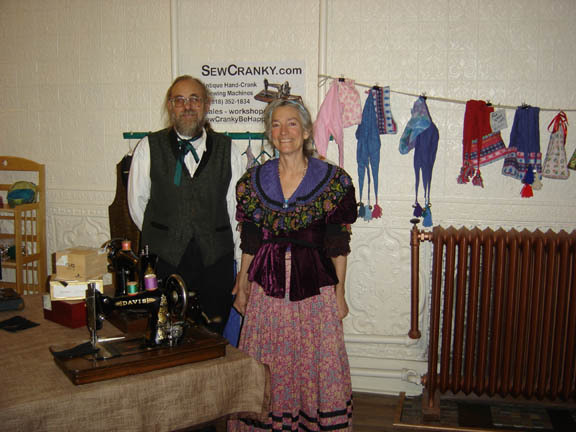 Click on the above photo of Ginger and Mike at the opening of their SewCranky shop in Hancock and follow the right arrows to see all the photos. Info icon gives you the captions. Book cover courtesy Cyndi Perkins and Beating Windward Press. Copper Country, by Keweenaw author Kristin Neva, is the second novel in her Copper Island Series, following Snow Country (see ad below). Two main characters, Aimee and Russ, appear in both novels. Neva continues to describe life in the Keweenaw, including the influence of Finnish names and culture. Click on book cover image above to learn more or purchase the book on Amazon.com. 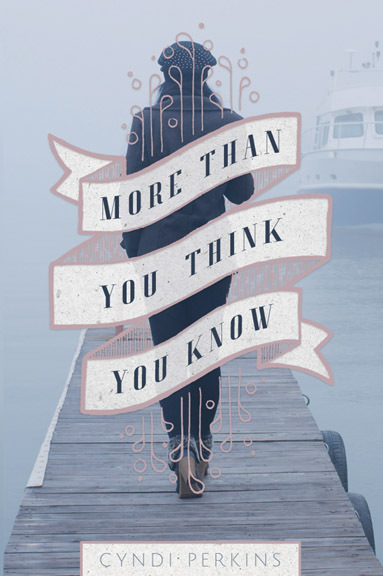 Set on the Keweenaw Peninsula, this inspirational novel features contemporary Finnish-American and Yooper culture while exploring themes of love, loss and faith. Click on logo above to learn about the Calumet Art Center's many activities and classes. Chauncey Moran, Yellow Dog RIVERKEEPER, recently conducted an aerial survey of the Salmon Trout and Yellow Dog River watersheds, scanning the landscape and waterways for mining activity and other land use issues. Both watersheds were surveyed via airplane and Moran reports that there are 7 total exploratory drilling operations that are currently active. All 7 of those are occurring directly east of Eagle Mine within a relatively short distance of the portal. This location has been called Eagle East and represents a plausible location for additional mineral deposits. No other active drilling elsewhere in the watersheds was noted during the flight. YDWP will continue to fly and conduct monitoring of this activity in order to inform concerned community members. Click on logo above for more news. Book cover designed by Avis L. West of Houghton Keweenaw County Genealogical Society. Photograph courtesy Michigan Technological University Archives. This publication by the Houghton Keweenaw County Genealogical Society (HKCGS) can be yours for free with a minimum $50 donation to the Italian Hall Memorial Fund. The book tells about the families of Italian Hall victims and includes historic photos. If you wish to donate and receive a copy of the book, please click on book cover above for the HKCGS order form, complete the form, print it and mail it to the address on the form. See story about the memorial and other ways to donate here. Click on above logo for KCC's new Web site. University Senate Passes "Sense of Senate Resolution in Support of our International Colleagues and Students." Waste Management Garbage and Recycling new schedule for Hancock started on Sept. 12, 2016. 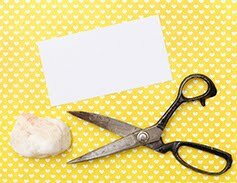 - All items need to be out by 7 a.m.
-East of Elevation Street will be on Monday. -West of Elevation Street will be on Wednesday. *Pick up for residents living on Elevation, S. Elevation and N. Elevation Streets will be on WEDNESDAY. -Any container will work for recycling. Some people are painting or taping (recycling) on the bins they now use or you can purchase a new recycling bin from McGann’s or Risto’s. -Single stream will continue for all items including glass and clean pizza boxes! 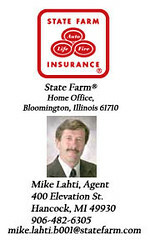 -Service is also available to small commercial. QUESTIONS: Call Bill Marlor, DPW, 482-1480 or Glenn Anderson, City Manager, 482-1121. Click here for Waste Management's new list of acceptable and unacceptable items for recycling. For our copyright policy, please click here or email us if you wish to use any of the photos or video clips by Keweenaw Now. Photos by guest photographers are copyrighted and you must seek their permission for re-use. This policy applies to the photos in our slide shows as well. Please do not share photos taken by guest photographers without their permission. Click on the photo above to see our slide show of Calumet on Dec. 3: the Poor Artists Sale, Santa, and art gallery exhibits. Click on any photo and follow the arrows. To read captions, click on the info icon. Our recent slide shows highlight the Keweenaw Science and Engineering Festival (KSEF) and Great Lakes Research Center (GLRC) community events held Aug. 4 - 6, 2016; the 2016 Keweenaw Science Fair winners honored by Carnegie Museum; and the Lake Superior Celebration at GLRC in April 2016. The new slide shows can be accessed as follows: Click here or on the photo above for the slide show of the Aug. 5, 2016, Keweenaw Water Festival at Michigan Tech's Great Lakes Research Center (GLRC). Click here for the Aug. 4 and Aug. 6 Keweenaw Science and Engineering (KSEF) family events held in Houghton's Kestner Waterfront Park, and click here for photos of some 2016 Science Fair winners and highlights of the April 26, 2016, Lake Superior Celebration sponsored by the Lake Superior Stewardship Initiative, Michigan STEM Partnership, the Copper Country Recycling Initiative and more. For each slide show, click on the first photo in the album and click the info icon in the top right corner for the caption. Then click on forward arrows to view the photos as a slide show. In May 2010, concerned Native and non-Native citizens camped, prayed and planted a garden at Eagle Rock, an Ojibwa sacred site, which was blasted for the portal to the Rio-Tinto-Kennecott Eagle Mine. The mine, now in operation, was sold to Lundin Mining Corporation of Toronto. Click on photo above to access a photo album on Eagle Rock protests in May 2010. Click on the first photo in the album and then on the info icon to view captions if they are not visible on the right. To view the photos as a slide show, click on the forward arrows. See Bill Moyers' May 24, 2013, interview with Tim DeChristopher, "Full Show: Going to Jail for Justice." Click here for the latest news on Save the Water's Edge. 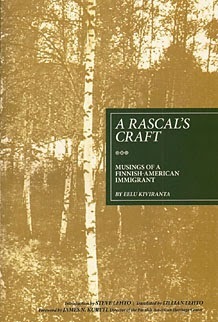 The poetic musings of Eelu Kiviranta, a Finnish immigrant and self-proclaimed rascal. Side-by-side Finnish with English translation by Lillian Lehto. Introduction by Steve Lehto. Includes "The Copper Country Strike of 1913." 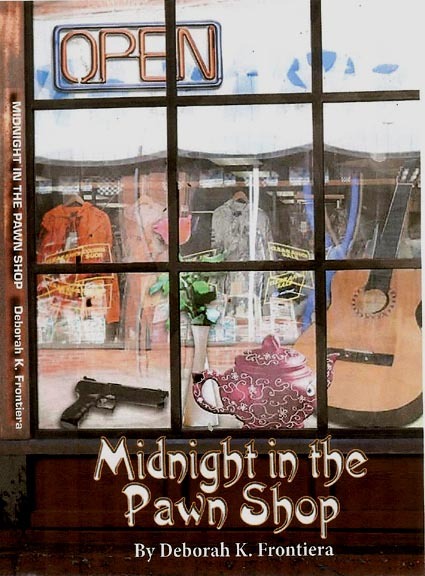 Available from Amazon or the translator, 1419 Yosemite, Birmingham, MI 48009, $19.95. Click on cover to see Youtube video. 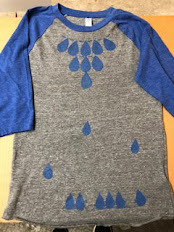 Original clothing and wall pieces custom designed and sewn by Andrea Puzakulich in the Keweenaw for 25 years. 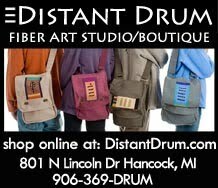 Distant Drum is located in Hancock's Historic E.L.Wright Bldg. Open most weekday afternoons. Call ahead. 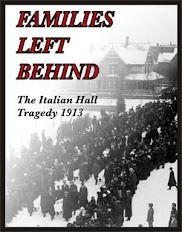 Click on book cover to access Steve's Facebook page on the Italian Hall disaster. Click here to see Steve Lehto's YouTube video about Italian Hall. 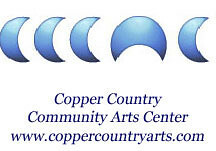 Click here to visit the Community Arts Center on Facebook. 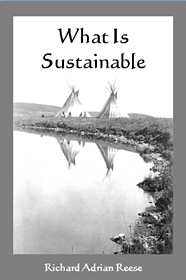 Author Richard Adrian Reese recounts how his life took a new direction after 9 years of simple living in the Keweenaw -- and offers a new worldview for a sustainable future. 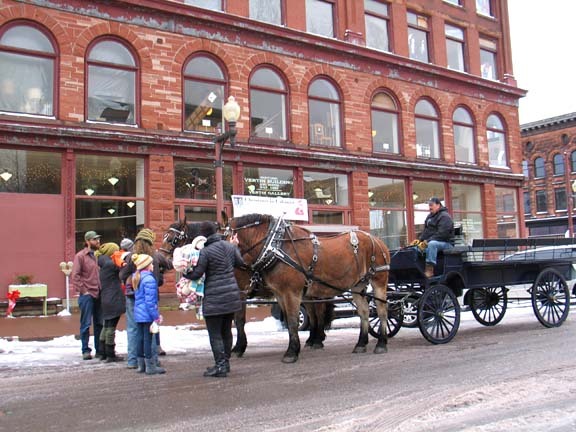 Welcome to our Keweenaw Now blog. This site, the sequel to the Web site www.keweenawnow.com, officially began on September 1, 2007. The Blogger format allows you, our readers, to comment on any post. Read our articles here and send us your comments and suggestions! Your comment will come to us on email (without showing your email address) and as long as it's not objectionable we will post it on the article page. Please note: Right now the comments do not appear on the home page; but, if you click on the headline of an article, it will go to the article's own (archive) page, where comments do appear and where you can reply to them. Click on the comment link below the article to send us a comment. Sometimes the number of comments is indicated on that link on the home page. It may take some time for it to appear. In addition, Keweenaw Now offers editing -- including editing of scholarly papers in various fields -- and some translation services. We can also help you write or edit the text on your Web site. Email Keweenaw Now Editor Michele Bourdieu, Ph.D., at andersm@pasty.com with your suggestions and requests. See the Web site, Flambeau Mine Exposed. The Buzzards Have Landed! -- hyperlinked electronic edition -- is now available as a FREE DOWNLOAD. Click here to access the e-book. 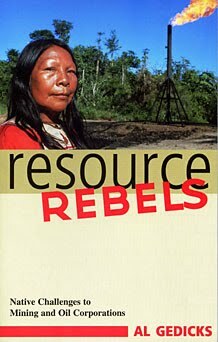 Read about the author of this book in our Jan. 25, 2011, article, "Lawsuit filed against Kennecott subsidiary for water pollution at Flambeau Mine site." Read about Deborah Frontiera's First Place Purple Dragonfly Book Award in the historical fiction category for this book, Living on Sisu: the 1913 Union Copper Strike Tragedy. Open to the Public: Hours 9:30 a.m. - 5 p.m. Tuesday - Saturday. Donations Welcome! 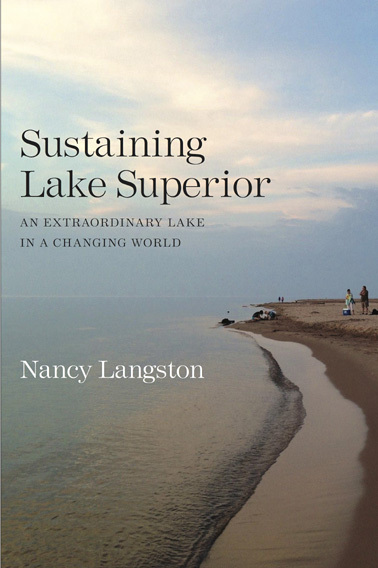 Click here to access the Gratiot Lake Conservancy's most recent Newsletter. Visit the Pasty Cam for great Keweenaw photos. Email us at andersm@pasty.com or call or fax 906-483-0822. Blog Archive: Click on arrows for links to articles published that week. Raging Grannies of Madison, Wis. If you missed one of our previous articles, you can find all of them archived through links in the right-hand column. Click on the week you missed, and the headlines of articles for that week will appear as links you can click on to read the story on its own page.